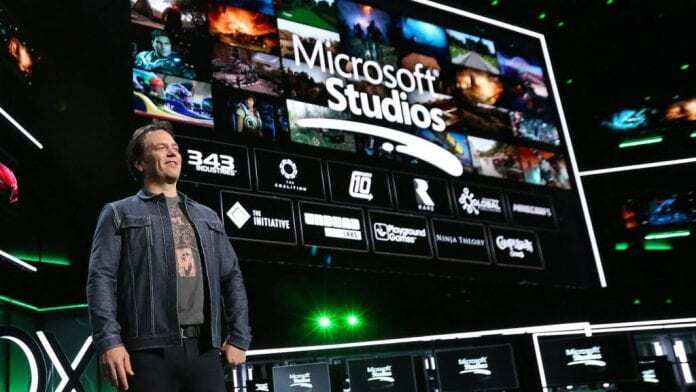 Xbox chief Phil Spencer at an Xbox briefing at the Electronic Entertainment Expo 2018 (E3 2018) held in Los Angeles on Sunday, announced that Microsoft has acquired four gaming studios to help the company bring more titles to Xbox and PC. “There has never been a more exciting time to be part of the gaming industry, with creators large and small showcasing incredible new games for the more than two billion players around the world,” said Spencer. While Microsoft has acquired Playground Games (Forza Horizon series), it has also signed letters of intent to buy another three studios: Ninja Theory (Hellblade and DmC), Undead Labs (State of Decay 2), and Compulsion Games (We Happy Few). Once the acquisitions are completed, Microsoft will have 11 game development studios. The U.S. tech giant also announced that it was forming a new studio of its own called ‘The Initiative’ in Santa Monica, Calif., to be headed by former Crystal Dynamics head of studio Darrell Gallagher. According to analysts, if Microsoft focusses on more first-party content, it will help its gaming unit in the future. “It will take time to reap the rewards of this more expansion strategy, but puts Microsoft on a much stronger footing,” Piers Harding-Rolls, head of games research at IHS Markit, said in a note on Sunday. All the new studios will fall under the Microsoft Studios brand. Microsoft Studios already includes groups like Halo-maker 343 Industries and the team behind Minecraft, which was acquired by Microsoft for $2.5 billion in 2014. Microsoft displayed a record 52 games at the E3 pre-show event including 18 console launch exclusives and 15 world premieres. The E3 2018 kicks off from today.